The ancient Chinese adopted an elaborate and intricate system of astrology that is intimately connected with various metaphysical notions such as yin and yang and wu xing. 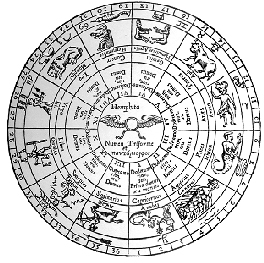 Many Westerners are familiar with the cycle of the twelve Zodiac animal signs in Chinese astrology, e.g., the year of the rat, ox, tiger, rabbit, dragon, snake, etc. Culver, Roger B. and Philip A. Ianna. Astrology, True or False? : A Scientific Evaluation (Buffalo, NY: Prometheus Books, 1988).